This is a lovely collectible oddity from the ever-reliable Morr Music. 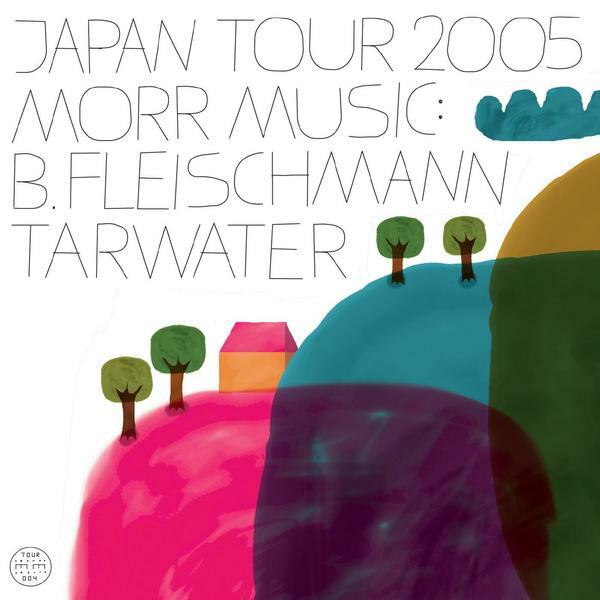 To celebrate their Japanese tour last year, Bernhard Fleischmann and the guys of Tarwater decided to put an EP together, with Fleischmann providing two alternative version of tracks on his most recent album and Tarwater providing three exclusive new tracks. Anyone who had heard Fleischmann's 'The Humbucking Coil' will already know 'From To' and 'Broken Monitors' but hearing them in these new-and-improved versions is a pleasure and a privilege - the tracks are fleshed out with effects and distortion which makes them feel more fun and free-er than their predecessors. Fleischmann's unmatched sense of melody brings to mind the absolute cream of melodic electronic music, yet his tracks do not sound contrived or copyist - he's a man out on his own and like labelmates ISAN, manages to sound all the better for it. Tarwater also don't disappoint, with their first offering 'Cassedy' sounding like a 1950s slow dance as realised by the BBC Radiophonic workshop - the EPs highlight and an incredible view of exactly where Morr Music is heading now - alternative and unusual pop music, pure and simple. Limited copies!